As of July 2015, 400 hours of video were being uploaded to YouTube every minute. That represents more than a 30% increase compared to 2014, so it is likely that number is even higher now. Snapchat has over 100 million daily users, who both created content and generated over 10 billion snap views in the last year. A startling 60% of all smartphone users are on Snapchat. This statistic becomes even more dramatic considering over 200 million Americans and currently own a smartphone. That number reaches 2 billion people worldwide. Live video has also flourished in the past several years. Periscope has 10 million users who can broadcast live video to the world. However, that number is utterly dwarfed by the 1.65 billion people who now can create live video through Facebook Live. I thought this was such a fantastically large number, I wrote another article on it. In terms of blogging, almost 300 million Tumblr users write and share about topics ranging from Philosophy to “Hiddleswift”. Medium, a long-form communication platform, has 30 million active users. Good question. The point of all these statistics is to illustrate the democratization of content creation. 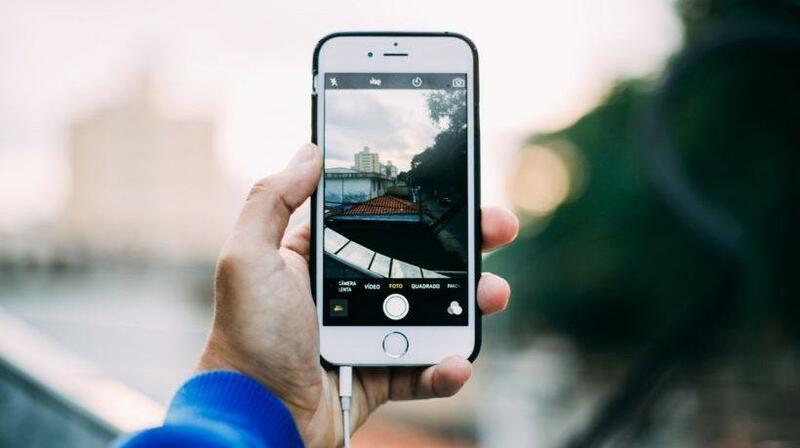 Over 2 billion people worldwide carry a device in their pocket that they can use to broadcast live video, film curated content, write blogs, and create podcasts, among other uses. You can already start to see the effect of this trend by looking at those who are considered “celebrities” today. How many top pop singers have been “discovered” on YouTube? If you have an adolescent son or daughter, ask them who their favorite star is right now. There is a good chance that instead of naming the traditional Hollywood icon, they will name a YouTube personality or a creator on Vine. The barriers to creating content that can be viewed by people across the globe are now next to nothing. Instead of thousands of dollars in equipment, all someone needs is a smartphone and a good sense of humor. This can put professional content creators, like eLearning developers, in an interesting position. With the rise of rapid eLearning tools and the shift towards video-based solutions, eLearning development has never been so accessible to the uninitiated. What Effect Will This Have On eLearning Development? I am of the opinion that this shift represents an exciting opportunity to change the landscape of training. Knowledge Management (KM) is defined as “the process of capturing, developing, sharing, and effectively using organizational knowledge”. Knowledge Management is a critical aspect of effective organizational operations that can recycle knowledge to produce better outcomes in the future. Knowledge Management can be either internal or external to an organization. Internal Knowledge Management is a regular practice in large organizations in which iterative improvement equals more efficient operations. An example of external Knowledge Management could be a Community of Practice, or a group of people employed in the same profession. CoPs are often employed by those in the medical field to share experiences and best practices. Often times, administration of Knowledge Management processes falls on a select number of individuals who format knowledge into appropriate formats and curate it in centralized platforms, such as a Learning Management System. This may very well summarize the daily activities of many eLearning professionals out there. But what if we lived in a world where those who created the knowledge could also package it into effective content? What if the responsibility for curating a knowledge management system did not fall on a select few, but was diffused among everyone in a knowledge network? Consider an IT professional at a large organization. The company recently began using Slack for intra-office communications, and this IT person has gotten several messages related to integrating other services into the platform. Using the tools available to her, she can easily record her screen while she demonstrates how to make this happen, record some narration, and then upload the video online and share it with the entire organization. Where this used to require a middleman that took the knowledge from the IT professional, packed it into digestible content, and then uploaded it to a central platform, it can all now be done by the knowledge creators. Alternatively, let’s consider a physician. They are constantly creating knowledge by taking contemporary best practices and experiencing how they can be applied in practice. In 2016, how can this physician share their unique knowledge within a Community of Practice. Well, they can record a podcast, keep a blog, film a video, or develop many other forms of content to communicate their experiences to their colleagues all over the world. Knowledge creators now have the tools to get that knowledge right to the user. This represents an exciting opportunity. The rate at which knowledge can be shared exponentially increases when everyone can develop sharable content. However, does this shift represent a step in the right direction? Well, it depends. In fact, it depends on you. What Does This Mean For The eLearning Designer/Developer? Well, it means that we may need to reorient our idea of what an Instructional Designer or eLearning developer does. Because the creation of learning content has become diffused, it probably means that the demand for developers will shrink in the future. Or at least it will be concentrated to complex endeavors like building complicated serious games. As Instructional Designers, we understand that the extent to which the democratization of learning content creation results in positive outcomes depends on how pedagogically sound the learning content is. And therein lies what may be the future role of the eLearning designer: Not a designer or developer per se, but a consultant, someone whose responsibility is to make sure knowledge creators are packaging their content in ways that is consistent with instructional best practices. As every Instructional Design book I’ve ever read illustrates, Subject Matter Experts always want every detail of a topic included in a piece of learning content. When the Subject Matter Expert also becomes the designer and developer of that content, they must understand that more information isn’t always best. That will be the responsibility of the Instructional Designer of the future. Remember the examples given above? The IT professional can easily develop a software demonstration to teach members of her organization how to integrate services with Slack. This approach is supported by the microlearning approach to training, can be viewed on mobile devices, and the “explain your work” aspect of a software demonstration is consistent with Instructional Design best practices. But does the average IT professional really know this? Many probably think sending out a mass email with a 40-point bulleted list of instructions is the best way to tackle this problem. The challenge for the eLearning designer/developer of the future will be to give learners a good enough understanding of Instructional Design best practices to develop content that will actually produce meaningful outcomes. Of course, the extent to which knowledge creators can become content creators depends on a multitude of factors, including their level of comfort with technology, the learning culture in their organization, etc. But we are reaching a point where more and more people are already using technology to create other types of content (YouTube videos, blogs, etc. ), and organizations are recognizing the importance of creating knowledge sharing cultures. In fact, the 70:20:10 model for Training and Development recognizes that sharing-based learning should represent a significant amount of total time spent learning (20%). Knowledge creators now have the tools to get that knowledge right to the user. The extent to whether that is a positive shift depends on your ability to teach your learners how to do your job.